When it comes to business security, many business owners use wireless security systems to take advantage of their many benefits. 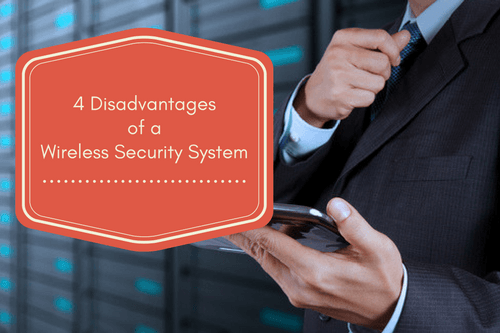 However, these business security systems also have disadvantages that can leave you feeling frustrated and even vulnerable. As a matter of fact, people who would rather take whatever they can from others in place of trying to build something by themselves will always exist. According to an FBI crime report, Americans suffered losses approximated at $4.5 billion as a result of burglary-related incidents in 2013, and such cases are expected to continue rising. You need to determine whether your existing surveillance measures are sufficient to prevent criminals from turning your dream into a nightmare if they target your property. Your commercial security systems probably won’t suffice if you rely on outdated, hardwired surveillance systems. Surveillance cameras featuring wireless technology offer several benefits over older designs, most of which are still anchored to outlets. 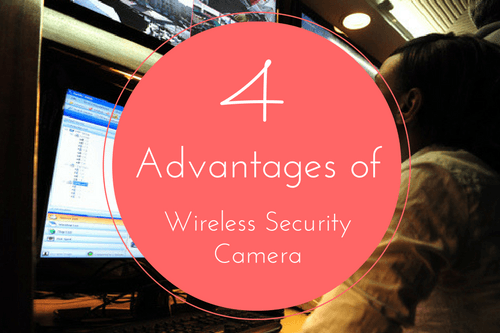 Familiarize yourself with the four key advantages of investing in wireless security cameras. The most distinct advantage provided by wireless cameras is the fact that the technology does not include cables. Breaking into establishments that have fully wired business security systems only needs a pair of wire cutters. Criminals can blind the latest corded surveillance cameras by disrupting power cables and telephone lines. On the other hand, wireless surveillance cameras have no wires for criminals to attack. You may also need to drill holes in your wall and get some mounting kit when installing wired security cameras. Although it might not necessarily be a difficult task, putting together something to hold the camera often is time-consuming. On the other hand, the installation of wireless cameras is incredibly easy, requires little time, and allows you to angle the cameras in whatever direction you choose. Wireless cameras come with an increased amount of flexibility since the lack of wires allows you to place the cameras in any desired location. Additionally, you won’t have to worry about connecting them to an outlet. Apart from placing them anywhere, you can also program wireless cameras to a range of settings, and physically move them to a different location without dealing with wires. Having a wired camera works to restrict surveillance locations. It forces you to place your cameras only in the easy to reach spots for cables and other equipment regardless of whether or not these areas are suitable for surveillance devices. The ability to maneuver cameras quickly and install them in high or optimal areas without worrying about outlets could save you a whole lot of trouble. With wireless cameras, your imagination is probably the only restriction you will face when it comes to placement. In addition, having no wires makes hiding the cameras a lot easier, and this would come in handy if you are installing the cameras as a security measure. You probably know that nothing gives away a surveillance camera as much as a hanging wire. Apart from the fact that wireless cameras usually come with alarm monitoring services, most of the wireless surveillance systems currently available save data directly to the cloud, which helps to keep the recordings completely safe. 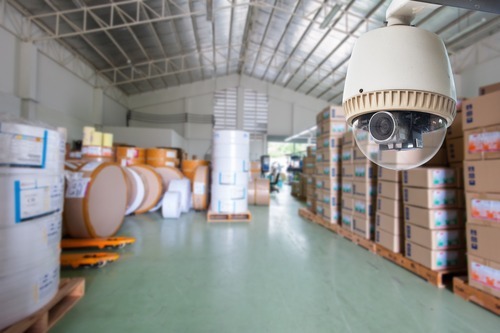 There isn’t much stopping peoples from intruding, and then damaging or taking the surveillance footage for good measure if your wired security system records to an onsite backup. Despite efforts to destroy or delete the data, the surveillance footage will remain accessible if you have wireless cameras installed. 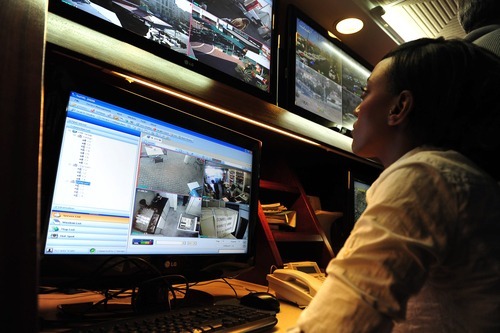 Additionally, wireless security systems use top-rate encryption techniques for the digital data, which makes your video feed safe from both common and cyber criminals. Wireless cameras are also designed to function for extended periods on independent power sources. As such, they will keep working even during outages. When it comes to wireless cameras, you can situate the receiver 700 feet to ten miles from the main camera and still pick it up, with total distance depending on the type of camera. The signal also has the ability to infiltrate up to eight walls, which includes going through solid objects such as metal, wood, plastic, and glass. Apart from being able to access a wireless camera from anywhere, you can also check your feeds anytime thanks to the advanced access control system featured. As such, you can leave for a long vacation without necessarily leaving your property undefended. 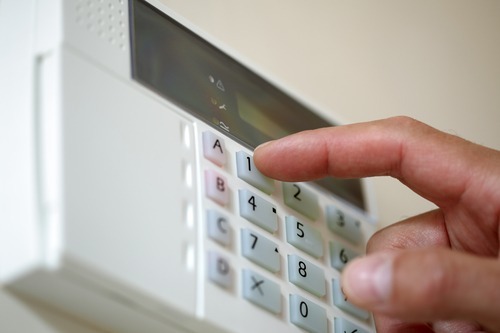 Wireless security systems are technologically advanced and are new in the market. Because of these factors, their demand is higher than the traditional security systems. These systems come with all features that are found in the standard options, including control panels, remote key panels, sirens, and sensors. Each feature, however, also include a radio transmitter to facilitate the wireless nature of these systems. 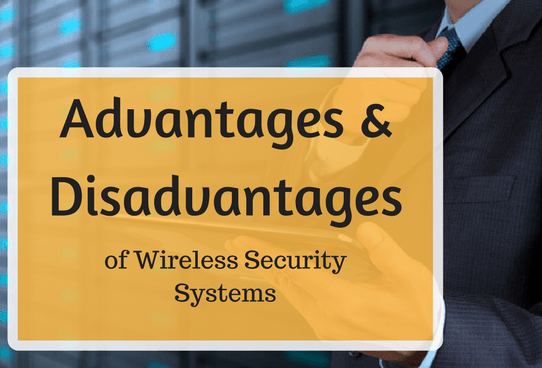 The radio transmitters and other features that make wireless systems advanced come at a cost, which makes the cost of the entire alarm system more than the same wired systems. Some people think that these alarm monitoring services are not costly since they do not need to be installed by a specialist. However, one should put into consideration the cost of this system itself when comparing the cost of installation and the wired security systems. 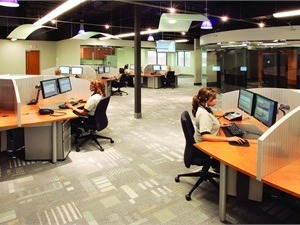 Many business owners purchase these systems for their ease of installation so as avoid spending a lot of their money. However, this is not always the best thing to do unless you the required training. Non-professional installation can leave your system vulnerable to unintentional damage and hijacking. Because of these challenges, most entrepreneurs pay experts to install for their commercial security systems. There are some features that wired security systems have, but wireless systems do not have. This is a factor that makes this system prone to inference. When a thief, for example, decides to cut the wire that connects a wired system first before breaking in, an alarm will sound. But that is not the case with a wireless system. In wireless alarm systems, individual sensors and some of its other components communicate with the control panel using radio waves. Other systems using microwaves can interrupt communication between these components and expose your business security risks. In some cases, frequency interference can cause a false alarm. And if this trend continues, the control center managers might be tempted to ignore some alarms. Many other things such as metal objects and electronic devices placed near sensors or the control panel can also interfere with radio frequencies. Since wireless security systems integrate radio signals, they can expose you to great risk. You cannot call the police through a prerecorded message, and so when you are under an attack and have no time to call the police yourself, you have no remedy. Also, some of these commercial security systems operate within a narrow band of security codes, so a criminal who has a similar model of security system can disarm your access control system with just a remote control. Many factors can make your system to have unreliable behavior. Many components of the control panel such as sensors and motion detectors operate on battery power. Batteries can become weak and render the system ineffective as it ages. A failed sensor can leave your business vulnerable until you have the chance to replace the batteries. As batteries grow weak, some security systems can begin to exhibit erratic behavior and consequently give false alarms or to fail to respond to some or all commands. After everything is said and done, you can depend on advances in technology and professional security system installation to offset some of these issues. When you are buying wireless security systems, go for those that are built with your unique needs in mind and can last for years.